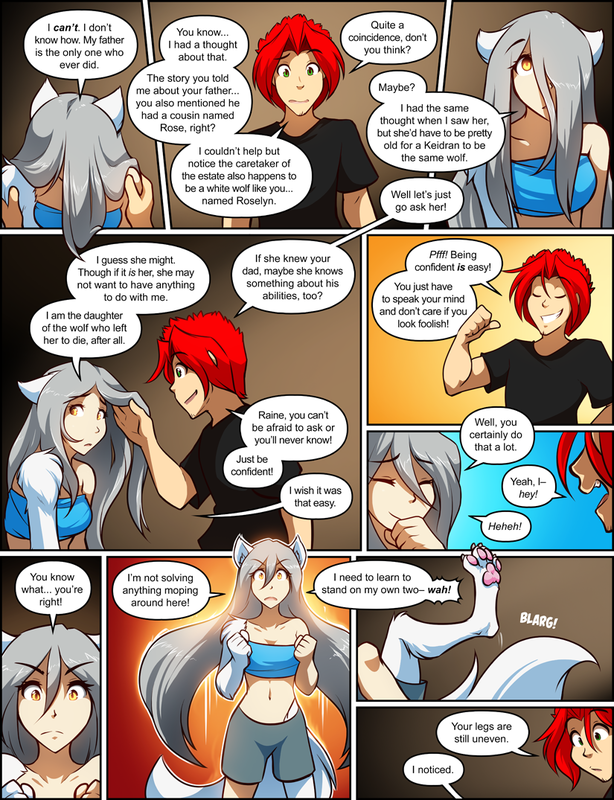 1062: Confidence of Fools - Twokinds - 15 Years on the Net! 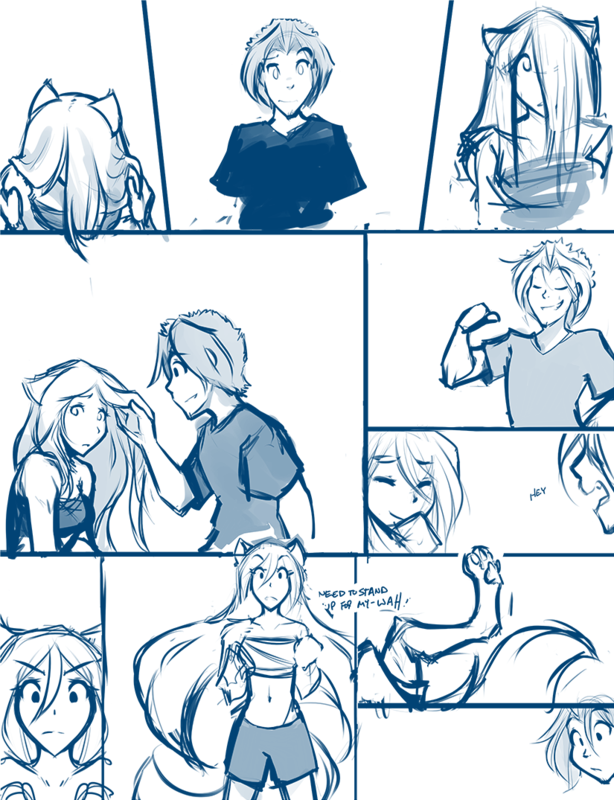 Raine: I can’t. I don’t know how. My father is the only one who ever did. Red: You know… I had a thought about that. The story you told me about your father… you also mentioned he had a cousin named Rose, right? I couldn’t help but notice the caretaker of the estate also happens to be a white wolf like you… named Roselyn. Red: Quite a coincidence, don’t you think? Raine: Maybe? I had the same thought when I saw her, but she’d have to be pretty old for a Keidran to be the same wolf. Red: Well let’s just go ask her! If she knew your dad, maybe she knows something about his abilities, too? Raine: I guess she might. Though if it is her, she may not want to have anything to do with me. I am the daughter of the wolf who left her to die, after all. Red: Raine, you can’t be afraid to ask or you’ll never know! Just be confident! Raine: I wish it was that easy. Red: Pfff! Being confident is easy! You just have to speak your mind and don’t care if you look foolish! Raine: Well, you certainly do that a lot. Raine: You know what… you’re right! Raine: I’m not solving anything moping around here! Raine: I need to learn to stand on my own two–wah! Red: You’re legs are still uneven.